Once upon a time, in an ancient land called Florida, there was a little band who called themselves Death. This band of longhairs was lead by a charismatic visionary guitarist named Chuck Schuldiner. Through the course of their career, Death were one of the forefathers of American death metal. Sadly, Mr. Schuldiner passed away in 2001 due to a cancerous brain tumor and complication due to pneumonia. The band ceased to be after his death. Which brings up to the group and album at hand. 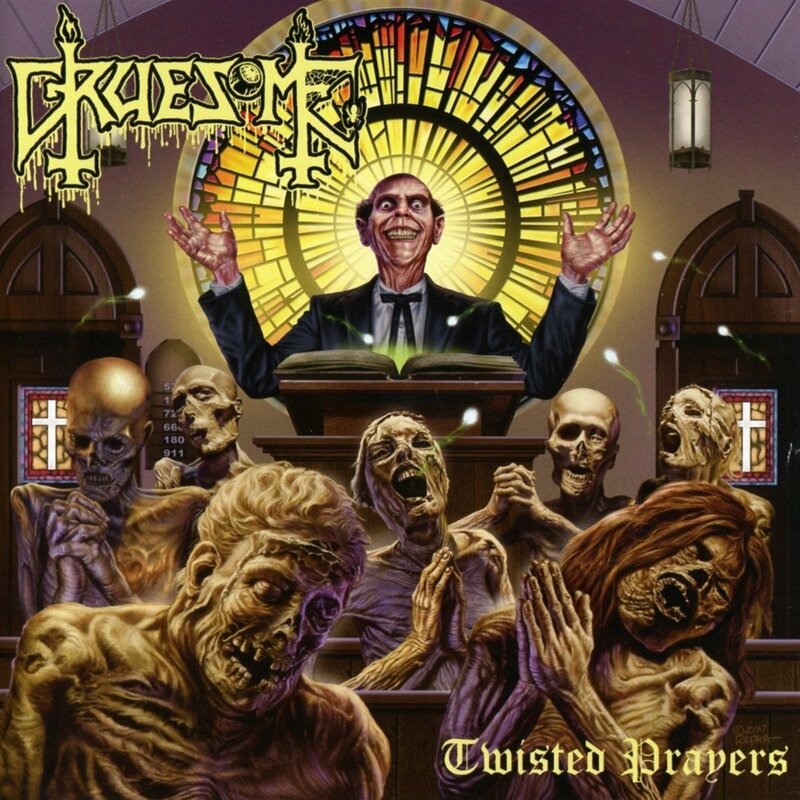 Gruesome was developed solely as a project headed by Exhumed’s Matt Harvey in which the group would write original songs solely in the same vein as Death. It’s not a cover band, but more of an ultimate homage band in an attempt to keep the Death concept alive. The songs are structured like Death’s songs. Harvey’s vocals are performed in Chuck’s style of death growl. Hell, even the album artwork harkens back to the album art from early Death albums. It’s a celebration of Death, if you will. All in all, it’s a pretty enjoyable ride. I think Chuck would probably nod in approval if he came across any of these songs. If you were a fan of Death back in the day, you should probably give this thing a listen. Or if you’re a traditionalist, you could just go put on Scream Bloody Gore. Previous Previous post: Vinnie Paul Abbott 3/11/1964 – 6/22/2018 R.I.P.